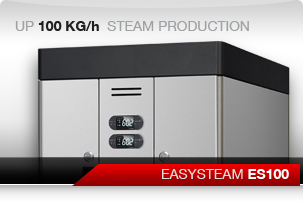 Easysteam ES is the most evolved and flexible solution for steam humidification of any environment. 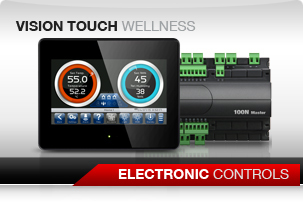 The integrated electronic control permits to configure and optimize the humidifier on the basis of customer's specific requirements and to guarantee its long-lasting thanks to diagnostic routines. 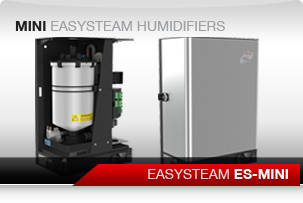 The EasySteam MINI immersed electrode humidifiers new series stands out for its super compact size and cylinder opening ensures easy maintenance.